An AC is basically a life saver because ever since Willis Carrier invented air conditioner, people’s lives have been easier and more bearable in the hot sunny weather. There has been many models and releases for air conditioners designed for different places and different spaces. For example, the famous split air conditioner which has both, an indoor and outdoor unit or maybe a portable air conditioner which is a mini AC that you can drag around with you, along with many others, of course. An air conditioning system works wonders to provide us with a cool breeze which is why we are all thankful for such invention. Jumia Egypt provides you with the biggest category for air conditioners with all the different units and models at the lowest prices in the online market. You can now buy an air conditioner along with any other product on Jumia using our new installment payment method! 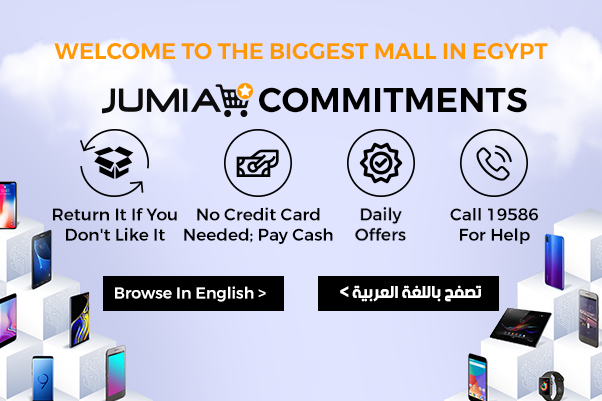 With the help of Aman, you can now enjoy shopping for all the items and products you might need now on Jumia Egypt and worry about the payments later. Get your hands on your AC today from some of the most world-famous brands out there like, Fresh, Unionaire or Sharp, along with many others and enjoy the best deals and discounts only with Jumia Egypt.